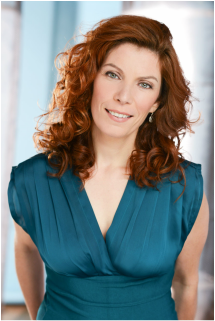 Stephanie hails from Ontario, Canada and is a prolific actor, playwright, and theatre educator. She is the founding Artistic Director of the The Essential Collective (ECT), a Niagara based theater company committed to the creation and production of new Canadian work. Stephanie trained at Canada's Humber College Theater Department, and Brock University's Dramatic Arts Program. She studied extensively with prominent Canadian Playhouse graduate and Meisner Technique teacher, Jacqueline McClintock and was awarded an OAC Chalmers Professional Development grant to study at the Neighborhood Playhouse with Ron Stetson. She was later invited to apprentice with Mr. Pinter and Mr. Stetson in Meisner instruction. Ms. Jones established the Niagara Region's first Meisner training program. In 2010 she was presented with the YWCA's Women of Distinction award and recently received the St. Catharines Established Artist Award.